“One Piece” Chapter 870 spoilers and rumors have already started circulating on the internet with many of the fans showing interest in Big Mom’s reaction and how she will handle the attack from Capone Bege. Some speculations indicate that the treasure box may also play a major role in this entire struggle. Check out in detail! 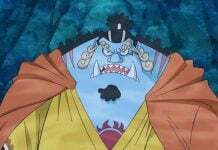 In the previous chapter, when Capone Bege and his allied troop could not kill Big Mom with the launcher, Bege takes the form of a huge humanoid castle and asks the Pirates to take shelter inside it. But now the Yonku Pirate is fully awake. According to Blasting News, her Pirates find a way quickly to counteract the attacks from the towering, traitorous form of Capone. They make him immobile trapping Bege with sticky candy layers. His cannons also get stuck with mocha balls and now they are completely useless. During this entire struggle, Big Mom comes to her senses and becomes aware of the intentions of Capone Bege to end her life. 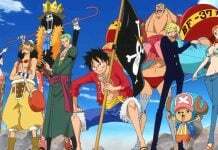 Now the question is will the Straw Hat Pirates and their allied forces bring down Big Mom together or her highly efficient and merciless soldiers will defeat them? 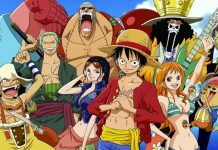 Will The Enigmatic Treasure Play A Key Role In ‘One Piece’ Chapter 870? 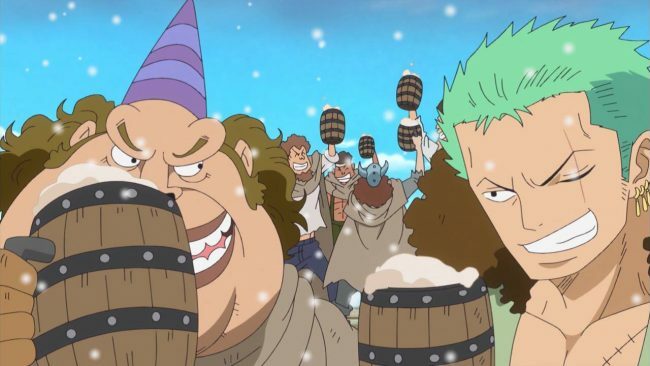 According to speculations by the Reddit users, Tamatebako, the enigmatic treasure may play a big role whether Straw Hat Pirates and Capone Bege will win or not. Fans might remember how Du Feld previously tried to open it during the ongoing chaos but failed to do so. It is quite possible that the mysterious box might divert the course of the battle between Straw Hats and Big Mom’s Pirates. There is also no word about what Pudding will do in “One Piece” Chapter 870. Will she go against her mother and support Sanji and Pirates? In the meantime, the series producers celebrated the 20th anniversary of “One Piece” by releasing 12 brand new UNIQLO shirts having designs based on the manga series. Each shirt costs around 990 yen and comes with designs that will suit both young and old. 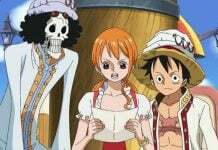 “One Piece” Chapter 870 will come out in the “Weekly Shounen Jump’s” next issue.